Released in November 1977, 'If you ever come to Amsterdam' was the follow-up to Pussycat's successful single 'I'll be your woman' which reached number 11 in the Dutch Top 40. By comparison, this single did worse, as it stalled at number 20. Both singles stayed in the chart for seven weeks. Like all of the band's hits, the song was written by the band's guitarist Werner Theunissen. There's an air of calculation behind this single release by the Dutch band Pussycat. After a handful of top 10 hits their singles 'I'll be your woman' and 'If you ever come to Amsterdam' landed outside the top 10, and so someone must have suggested a cover version. 'Same old song' was originally a hit for the Four Tops in 1965 and written by the Motown writers team of Holland, Dozier & Holland. Pussycat's version was rewarded with a highest chart placing at number 10. The strategy had paid off. 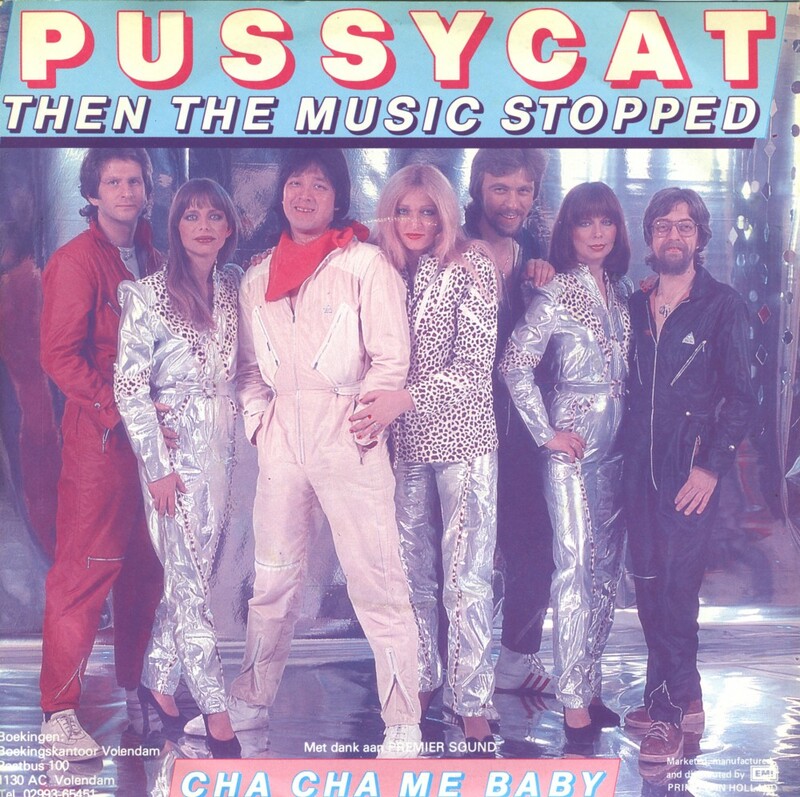 Released in the summer of 1979, the Dutch band Pussycat managed to reach number 14 in the Dutch Top 40 with the song 'Daddy'. Like many of their previous hits, the track was written by band member Werner Theunissen. The seven piece band continued to be successful throughout the second half of the Seventies. As is evidenced on Youtube, many people still feel very positive about the band's Seventies output. 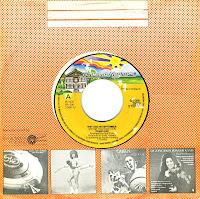 The Dutch band Pussycat had four top 10 hits in the Netherlands in 1976 and 1977 with a few country-tinged songs. The country-influence was still evident in their fifth hit single, 'I'll be your woman', but this time, the single peaked at number 11 in the Dutch Top 40. 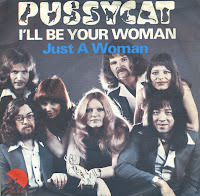 'I'll be your woman' was the third single taken from Pussycat's 1977 album 'Souvenirs' and the song was written by band member Werner Theunissen. 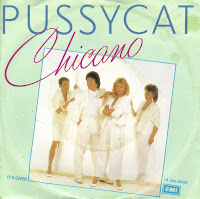 In 1984, Pussycat released the album 'After all' on their new label Ariola. 'Light of a gypsy' is released as the first single from the album. Both however fail to make an impact on the album and singles chart. A year later, the band decides to call it quits. Lead singer Tony Willé tries to release some solo work, but it is also commercially unsuccessful. 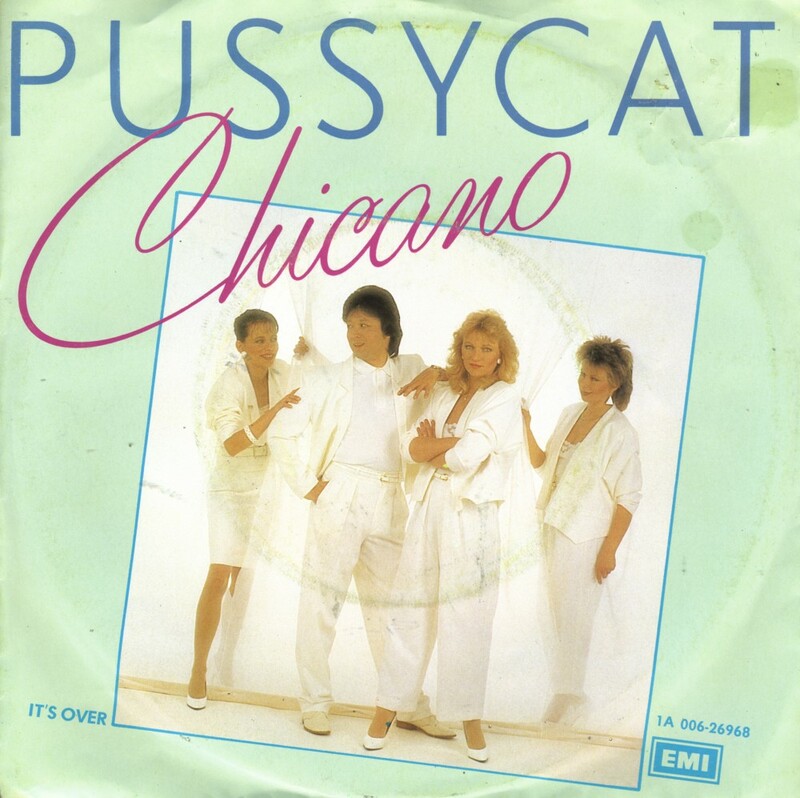 'Chicano' was released in 1983 as a single by Pussycat. It was taken from their album 'After all', also released that year. The song was written by Werner Theunissen, who was also responsible for the band's early successes. However, this Latin-tinted track couldn't match those successes, as it failed to chart even in the Netherlands. 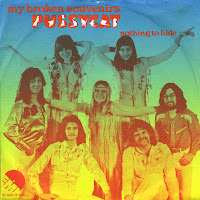 'My broken souvenirs' was released in March 1977 as the fourth single from Pussycat's debut album 'First of all'. Like their debut single and number 1 hit 'Mississippi', the song was written by Werner Theunissen. The single becomes the second (and last) number 1 hit in the Netherlands for the group - it also reaches number 1 in New Zealand, by the way. 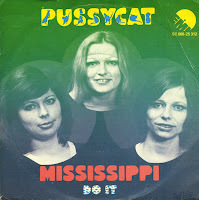 With the song 'Mississippi', the band Pussycat reached the Dutch Top 40 for the very first time. And it was a big success, as it peaked at number 1 for four weeks in the Dutch chart in December 1975. The single also spent four weeks at the top of the UK singles chart a year later. Written by Werner Theunissen and produced by Eddy Hilberts, the lyric of the song is about the history of music, how rock music became more popular than country music. 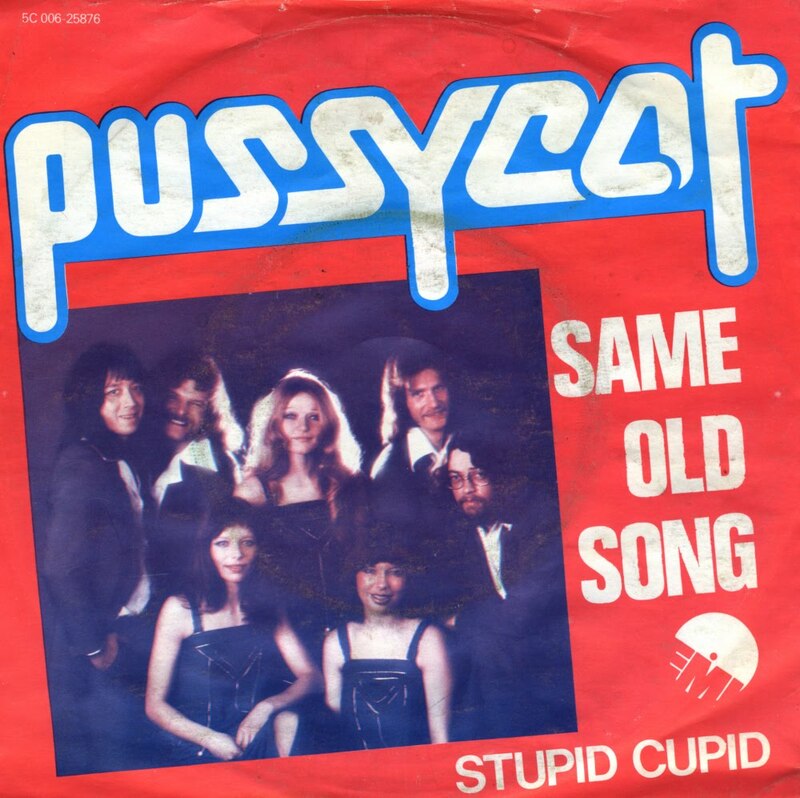 These days, Dutch bands find it hard to come up with a decent song, let alone decent instrumentation, but this 1981 single by Pussycat proves that it is possible even for a Dutch band to produce a great track. 'Then the music stopped' was released in March 1981, and rose to number 11 of the Dutch Top 40. 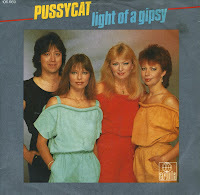 After their success in the Seventies, the Dutch band Pussycat never really recovered during the Eighties. They only managed a few minor hits in the Netherlands. What's more, the band slimmed down to only four members, having originally started with eight. 'Lovers of a kind', a modern sounding song was their last hit in the Netherlands, reaching number 15 in February 1983. 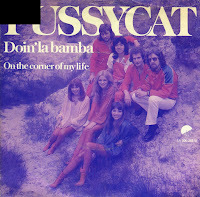 Released in July 1980, 'Doin' la bamba' was to be the last top 10 hit for Pussycat in the Netherlands. The single peaked at number 6 in August. In subsequent years, the group slowly lost its members until only a quartet was left in 1983. The group fell apart in 1985. 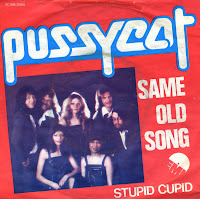 I don't have much Pussycat singles, because most of their early material doesn't really interest me. This is a strong enough track, although it always amazes me that a Dutch group would sing about Latin American fiestas. 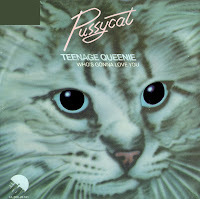 Taken from their 1981 album 'Blue lights', 'Teenage queenie' was a minor hit for the Dutch band Pussycat, peaking at number 36 in the Dutch Top 40. It was also their penultimate hit: 'Lovers of a kind' (1983) would get to number 15, but after that, the hits dried up. The band finally broke up in 1985. 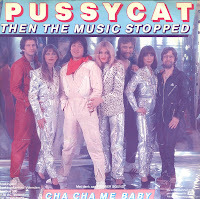 Pussycat will always be remembered for their worldwide hit 'Mississippi', which gave them a number one hit in the UK in 1976. This song sounds very different from that one, though the band's signature sound, formed by slide guitars and Toni Willé's distinctive voice is still there. Pussycat was a Dutch band formed in the Seventies by the sisters Toni, Marianne and Betty Kowalczyk. With muicians Lou Wille (Toni's husband), Theo Wetzels, Theo Coumans and John Theunissen they recorded several albums and singles. Their biggest success was 'Mississippi' (1975), which reached number 1 in the UK singles chart. 'Wet day in September' was released in 1978 and peaked at number 7 in the Dutch Top 40. It's one of the first singles I ever bought - although unfortunately it came in a standard 'EMI-Bovema Holland' record company sleeve instead of the picture sleeve.